What is it like to Travel New Zealand in April? April is a beautiful time to travel New Zealand. Autumn colours start to decorate some areas in New Zealand like Wanaka, Arrowtown and Hawke’s Bay and the weather tends to mostly fine and sunny. April is one of New Zealand’s shoulder seasons so expect the country to be a little quieter and some expenses a little cheaper. The shoulder season also allows you to travel more spontaneously too. This quick guide to travelling New Zealand in April will go over the typical weather in April, April events, awesome activities to do in April and typical prices. We’ll also go over some travel tips for April too. 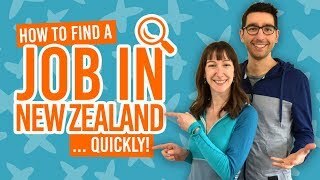 For more advice on when to travel in New Zealand, take a look at When is the Best Time to Go Backpacking in New Zealand? When travelling New Zealand in April, here are some things you need to know. If you plan on doing any outdoor activities (which, why wouldn’t you? It’s New Zealand), make sure to pack warm fast-drying tops and pants, a hooded rain jacket, and thermal layers made of wool or polypropylene. Wear sunscreen. It’s still pretty sunny in New Zealand during April so be sure to slap on a high factor of sunscreen, especially as the UV rays are intensified because of the hole in the Ozone layer near New Zealand. Booking accommodation and activities way in advance is not particularly necessary in April in New Zealand, giving you more space to be flexible. However, we do recommend doing an early booking for the ferry crossing and if staying in Lake Tekapo and Milford Sound which are popular destinations with very limited accommodation. April is the middle of autumn in New Zealand. Although temperatures start to cool from the summer season, April still tends to get long sunny spells in between showers and cloudy days. As with any month in New Zealand, the weather is fast-changing so be prepared for any weather scenario if you are outdoors. While the days are at still a comfortable temperature, expect it to feel much cooler when the sun goes down. North Island Temperatures: Highs of around 20°C or more and lows of 9°C. South Island Temperatures: Highs of around 18°C and lows of 6°C. In all honesty, April is more of a quiet month in New Zealand. Compared to other months of the year, April has much less events during this shoulder season. Nevertheless, if you are into comedy then you are in for a treat the New Zealand International Comedy Festival. Catch some comedy acts particularly in Wellington and Auckland while some acts may tour the rest of the country. There is also the annual Easter Show in Auckland during the first couple of days of April with circus acts, art, music, rides and much more. Finally, if seeing Arrowtown among stunning autumn colours wasn’t enough, then attend the Festival of Colours in Arrowtown, near Queenstown. It is usually held during the first week in April. April is a great time for many things in New Zealand, especially hiking and mountain biking. Cool mornings and warm afternoons make it pleasant to hit the trails of New Zealand, whether by foot or by wheels. Additionally, April is well into (or just after) the wine-making season in New Zealand, so it’s a great time to try some of that famous New Zealand wine. Find out more in 9 Great Winery Tours in New Zealand. Because April is considered a shoulder season in New Zealand, meaning it’s a season between the peak (busy) season and the low (quiet) season, it’s a great time to travel New Zealand if wanting to save a few bucks while still experiencing awesome weather. For an idea of general costs in New Zealand, take a look at this cost guide. Generally, flying to New Zealand during April is one of the lower-priced months to fly. However, a number of factors influence flight prices, such as how far in advance you book, how you book and more. We go through all of those factors in our guide to getting a cheap flight to New Zealand. Renting a vehicle in April is one of the cheaper months to do it thanks to it being the shoulder season. Expect prices to start from around NZ$20 per day for the cheapest vehicles. For more information on the cost of rental in New Zealand, check out How Much Does it Cost to Rent a Car in New Zealand? Hostels tend to keep their prices the same year-round by charging NZ$21-$32 per person per bed. Holiday Parks are more likely to change their prices with the seasons, so by being the shoulder season, April is a good time to stay in holiday parks while they are at a cheaper price than other months. For example, a powered site for a campervan will usually cost between NZ$15-$25. While most activity operators stay open year-round, some operators may start closing shop during April or putting on a reduced number of tours. April is usually a good time for activities to run promotions, so keep an eye out and don’t worry about booking some activities way in advance. New Zealand Calendar: What’s going on?